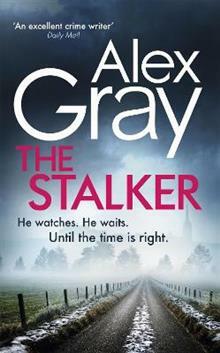 The latest William Lorimer investigation from bestselling author Alex Gray. Glasgow-set crime at its most thrilling. Alex Gray was born and educated in Glasgow and is the author of the bestselling William Lorimer series. After studying English and Philosophy at the University of Strathclyde, she worked as a visiting officer for the DHSS, a time she looks upon as postgraduate education since it proved a rich source of character studies. She then trained as a secondary school teacher of English. Alex began writing professionally in 1993 and had immediate success with short stories, articles and commissions for BBC radio programmes. A regular on Scottish bestseller lists, she has been awarded the Scottish Association of Writers' Constable and Pitlochry trophies for her crime writing. She is also the co-founder of the international Scottish crime writing festival, Bloody Scotland, which had its inaugural year in 2012.